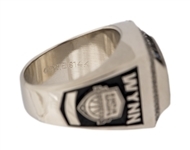 Featuring a roster loaded with some of the NBA’s best players such as Stephen Curry, Kyrie Irving, James Harden and Anthony Davis, the USA dominated the 2014 Basketball World Cup held in Spain. The United States’ run started with a 114-55 blowout of Finland in group phase play, and from there the U.S. would never look back. They beat Lithuania, 96-68, in the Semi-Finals, as Irving scored a game-high 18 points. In the Final, the United States defeated Serbia, 129-92, with Irving (who was named MVP) again leading the team in scoring, this time with 26 points. 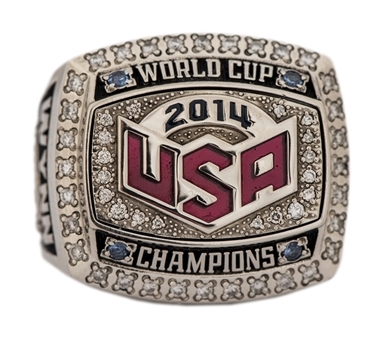 Presented here is a 2014 USA Basketball World Cup championship ring, manufactured by Jostens. This 14K gold ring reads “2014 USA” on the center of the face, with “WORLD CUP” above and “CHAMPIONS” below done in relief work. A bed of CZs surrounds the lettering. 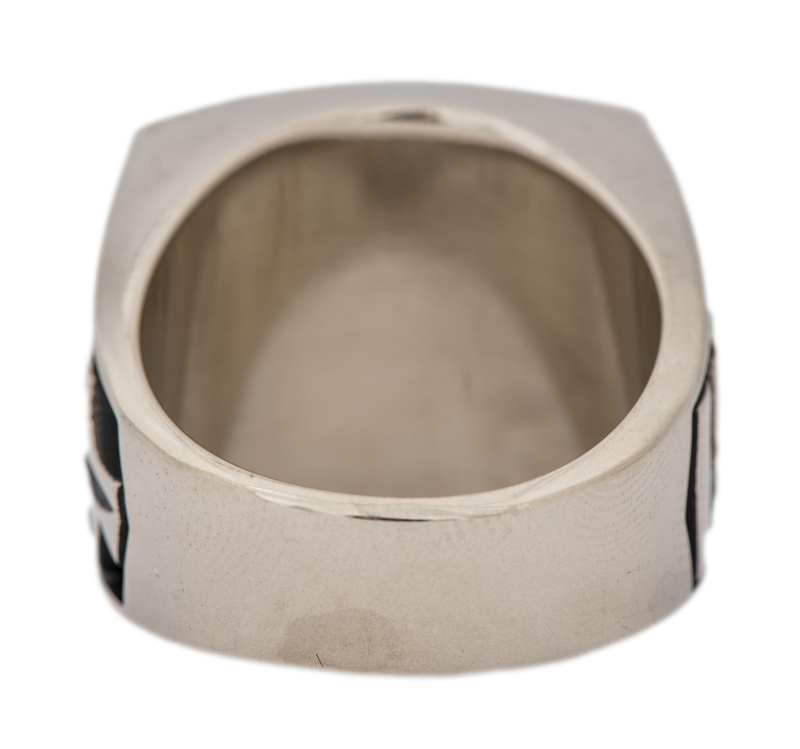 One size displays the Basketball World Cup logo, which features the image of a jump ball, along with “SPAIN 2014”. 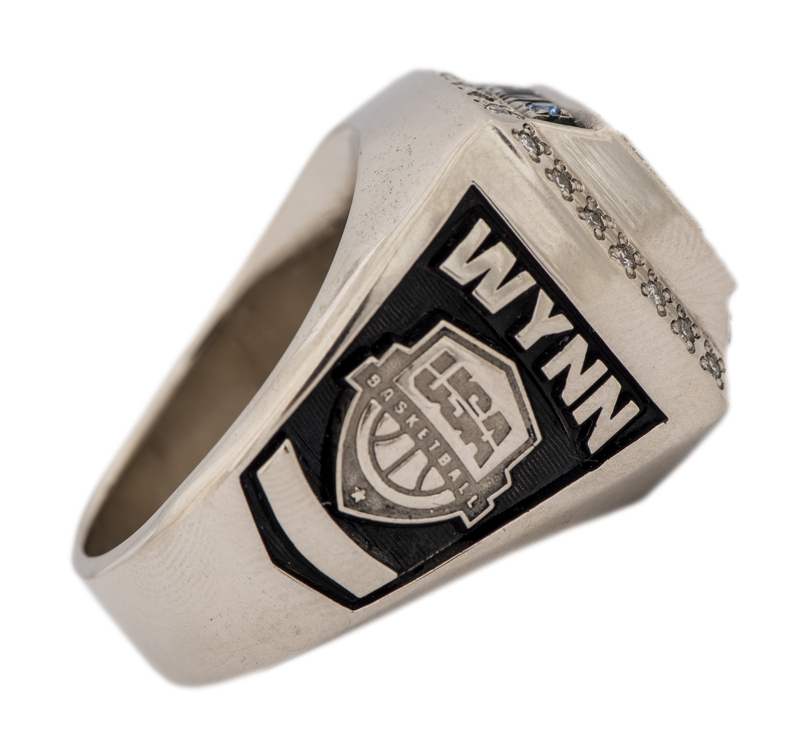 The name “WYNN” – above a USA Basketball logo – appears on the opposite side. 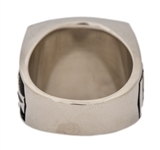 Inside the band of this approximate size 11 ring is marked “© JOSTENS 14K” and the weight is approximately 50.0 grams. 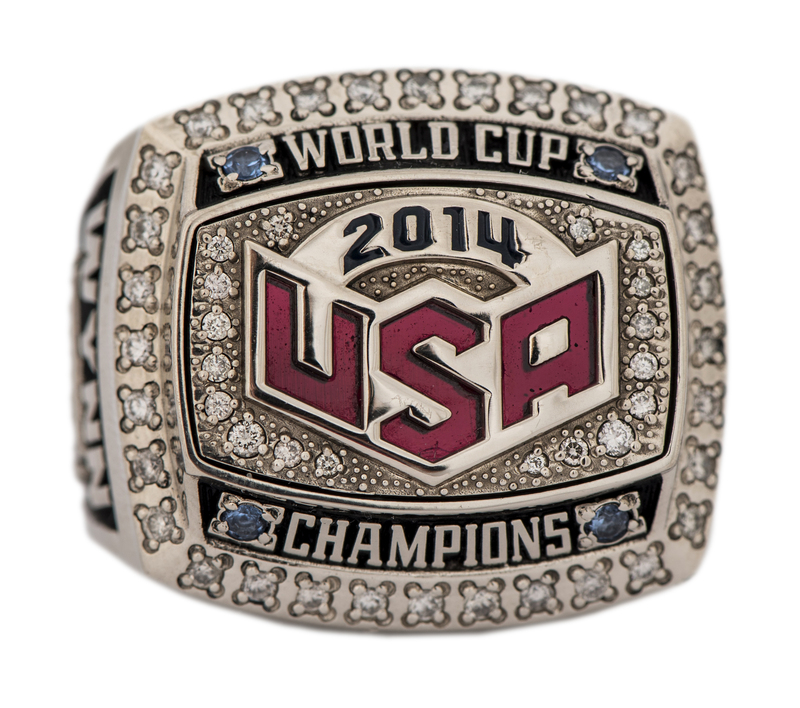 Included is the original hinged display box which is marked “USA BASKETBALL 2014 WORLD CUP CHAMPIONS”.